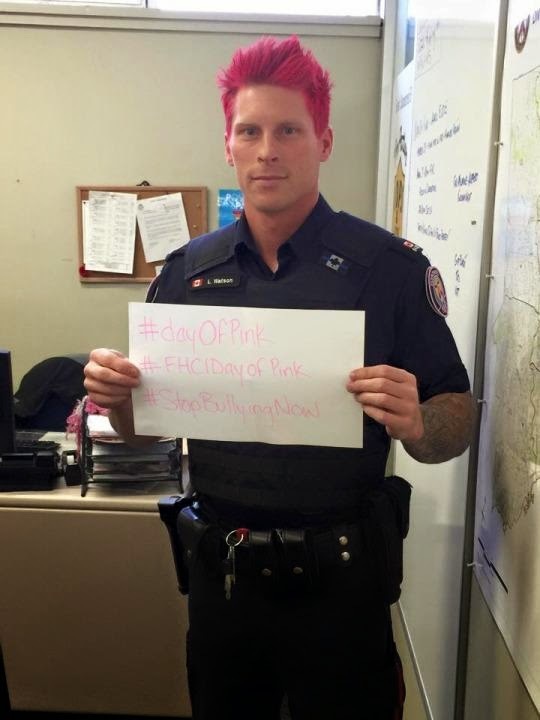 The Toronto Police force is taking a stand against bullying, but it’s not in the way you might expect. Their unconventional approach involves hot pink hair and Twitter. 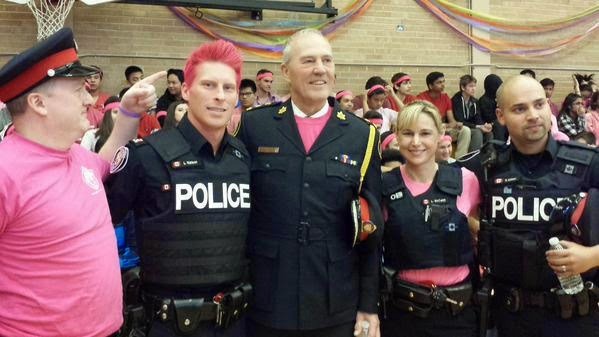 It all started when Toronto police officers Ryan Willmer and Luke Watson were trying to raise awareness for the Day of Pink on April 8 in Canada, a celebration of diversity and anti-bullying. Two straight students in Nova Scotia started the Day of Pink when they saw a gay student wearing a pink shirt being bullied. They intervened and then rallied the entire school to wear pink in solidarity. 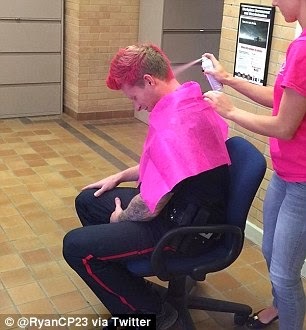 To garner more attention for the event, Officer Willmer went on Twitter and promised that his beefy, tattooed colleague would dye his hair pink if the post got 500 retweets with the hashtag #stopbullyingnow and #dayofpink.